As a service to humanity I am continuing my list of objects and experiences that are over-rated. I shall persist in sharing with you the fruits of my research and analysis. The items on this list all have some quality--had they no merit at all they surely would never have become over-rated. What characterizes the truly over-rated icon is that its reputation is all out of proportion to the enjoyment, satisfaction, or benefit that can be, or commonly is, derived from it. There is a story of a person who went to the theatre to see Hamlet for the first time. He was asked, upon his return, what he thought of it. "It was all right," he said. "But I don't know why everyone thinks Shakespeare is so great. 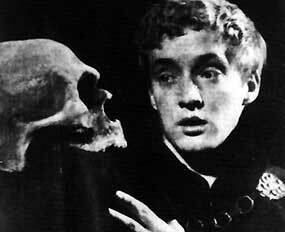 Hamlet is just a collection of quotes." When hearing this tale we are supposed to smile to ourselves, thinking what a schmuck the playgoer was. For isn't it true, we think to ourselves, that Hamlet only seems a collection of quotes because ever since it was first performed, people have been quoting it? Ha, ha, what an idiot that guy was. Of course we only laugh inwardly because the whole thing is so obvious that to laugh openly would be to indicate that we are uncultured and have not previously heard this chestnut. I think this story is amusing for another reason. What if the schmuck's observation is true? I picture us quaking in our fancy leather boots wondering if Hamlet really is just a collection of quotes that Shakespeare gathered together. A compendium of late 16th century clich�s and doggerel. Dished up around an incomprehensible plot just to mystify posterity. A practical joke on the future. Shakespeare was, you know, a really funny guy. He'd pull the chair out from beneath you just when you were committed to sitting down, to entertain all his other friends and would laugh outrageously as you were writhing on the floor. If you broke your tailbone, he would never let you hear the end of it, and immortalize your predicament with a million saucy puns. If you believe some scholars you would think that Shakespeare invented about half the words in the English language. There are indeed many words which made their recorded début (so far as we know) in Shakespeare. But there are good reasons why this should be soaside from Shakepeare's genius. One is that he was fortunate to live at a time when the English language, as we know it, was just taking form. Before his time, everyone spoke like Chaucer. There may have been lots of good words then. However, since know one can understand them anymore, who gives a damn? Now you might wonder why English didn't just keep on changing and leave Shakespeare, along with Chaucer, in the historico-linguistic dust? One answer is the invention of printing. Along with printing came much more widespread literacy. When people began to read a lot that tended to stabilize the language around the form it had when a proliferation of books first became available. Since the time of Shakespeare English has evolved a little bit, but not nearly as much as one used to the mediaeval evolution of vernacular would have been led to expect. Literacy had put on the brakes, so to speak. So Shakespeare just got in under the wire in the first flowering of modern English literature. Because his works were widely known (that is to say they were frequently pirated) he may be said to have been part of the stabilization process that created our versatile, if not elegant, tongue. There is however another roughly contemporaneous body of work that lies at the base of British (and by extension American) culture: the King (not Saint) James Bible. This version of the scriptures was much better known even than Shakespeare, very influential and just as full of quotes. The scholars who created this sacred text gave it a form as poetic and memorable as anything in the Bard of Avon and spoke more clearly to the concerns and aspirations of everyman. The language had to slow down after this, because it could not afford to leave such a beautiful bible behind. Shakespeare, then, was the principal secular literary beneficiary of this landmark religious translation. Thus, being so fortunate as to write in a language in which few had written before, Shakespeare was able to preserve the turns of language, both poetic and commonplace, that he heard around him in the course of his presumably picaresque life (for a famous person his biographies are notably devoid of solid information). He must have had a remarkably acute ear and a prodigious memory for words and expressions. But, like Hemingway (q.v.) in our own era, he was more a reporter than a creative genius. He, like Samuel Johnson, built a dictionary of the current language. Only Shakespeare was not so pedantic as to put his work in alphabetical order or to provide explicit definitions. There are some peopleOrson Bean is one that comes to mindwho inhabit (or in Orson's case inhabited) the talk-show circuit without any great show of achievement. These people are famous, but famous for what? I have asked myself. The answer is simple: they are famous for being famous. Sometimes I wonder if some of our ostensibly great literary figures are actually famous for the same reason as this minor 20th century talk-show habitué. Take Thackeray for example. He wrote a lot, but no one reads much of it except certain Victorian Studies scholars. The one title that has been retained in the "canon," Vanity Fair, is second-rate compared to Dickens and not nearly as likeable. If Becky Sharp hadn't been the first technicolor movie . . . Well even that has been eclipsed by Gone With the Wind which boasts a more sympathetic anti-heroine and has better color to boot. I don't actually think Shakespeare is famous merely for being famous. But Hamlet is. Ask yourself, are the quotes from Hamlet great stuff because of their intrinsic quality or because they come from that celebrated piece of hoary theater, Hamlet? (Applause, and three curtain calls.) Hamlet is actually rather aptly named: Ham-let. It is sort of like an omelet with a generous big slice of ham. For every ham actor has wanted to play Hamlet, Prince of Denmark, and to be seen declaiming that grandiloquent soliloquy, "To Be or Not To Be." My mind immediately conjures up that tenth-rate touring actor who wanders into John Ford's western, My Darling Clementine, and, of course, Jack Benny in Lubitsch's To Be or Not To Be. One can hardly imagine the celebrated soliloquy being done well, so much has it been fried in ham these last four centuries. If, against all expectation and tradition, the actor actually does it well, I think that Shakespeare should be well back in the queue for credit. Let's have a closer look at "To Be or Not To Be." It sits in Hamlet like a plum in a great pudding, an ingredient, yet something that can be plucked out (what a good boy am I!) and eaten separately. Like the overture to Rossini's Barber of Seville, written separately and appropriate for any opera, Hamlet's solilioquy could have been put in practically any play. It stands or falls on its own merits. And since we all love to dwell upon suicide, I will pass on the general drift, and concentrate upon delicious detail. Let us then add up the pros and cons. Pros: "The slings and arrows of outrageous fortune" "the thousand natural shocks that flesh is heir to" "take arms against a sea of troubles." Cons: "'tis a consummation devoutly to be wished." A bit of an anticlimax, and murkily put, too. Pro: "to sleep, perchance to dream." Vivid, and a bit of a rush when you know that sleep really means death. Con: "ay, there's the rub." Shakespeare has the habit of both spoiling the effect by being highfalutin' (consumation) and by descending into lower-class patois (rub). Another pro and con pair: "shuffled off this mortal coil" (pure poetry) and "must give us pause" (prose of the most mundane order. The list of human sufferings that follows is not top-drawer Shakespeare but all together the many trials have a cumulative effect when uttered. But then we are brought to a dead stop by the next bit: "he himself might his quietus make" (hoity-toity) "with a bare bodkin"! If that isn't bad enough, the next thing is "who would fardels bear." Here we are nearly back in Chaucer with rustic obscurity. One might argue, don't blame Shakespeare for not knowing that "fardel" had no future in it. I answer, but did he use it much? No, I'm sure fardels was arcane and on its way way out when the Bard perpetrated it. Then, just when we are about to become convulsed over bodkins and fardels, Shakespeare distracts our hilarious scorn with "The undiscover'd country from whose bourn / No traveler returns." Even with the "bourn" this is magical stuff. Too bad it is sewn to a bit of threadbare prose: "puzzles the will" and leads to a bit of moralizing about bearing our ills and then, my God, ending a sentence with a preposition. Ensuite, one more marvellous bit of word-craft"conscience does make cowards of us all"then an abrupt descent into "pale cast of thought" and "enterprises of great pith," dying out in a collosal whimper: "And lose the name of action." Final score: pros, 7; cons, 10. Seven pearls cast amongst ten swine. A meager score for something reputedly the best stage utterance of all time. But all those pigsI'll bet we get some pretty fine ham.